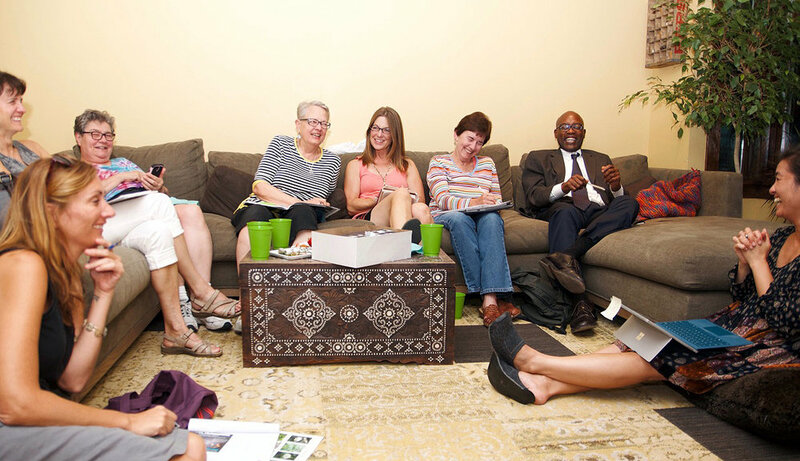 Green Community Connections is a community-based organization founded in the Oak Park and River Forest area that works collaboratively to build a resilient, environmentally sustainable community locally, and to be an environmental leader in the greater Chicago metropolitan area. In 2018, Green Community Connections hosted the seventh annual One Earth Film Festival in Oak Park, River Forest, Forest Park and Chicago, March 2-11. One Earth Film Festival is the Midwest’s premier environmental film festival, creating opportunities for understanding climate change, sustainability and the power of human involvement through sustainability-themed films and facilitated discussions. We engage private, public and non-profit sector community partners in the sponsorship and production of the film festival. The 2018 festival drew 5,400 from throughout the Chicago metropolitan area. In conjunction with the 2018 film festival, Green Community Connections sponsored the sixth annual Young Filmmakers Contest. The contest was created with the goal of engaging youth in the discussion about sustainability issues and getting them thinking about solutions. Each winning filmmaker received a cash prize and matching grant of equal value to be given to a non-profit organization chosen by the filmmaker. Winning films were featured at One Earth Film Festival. 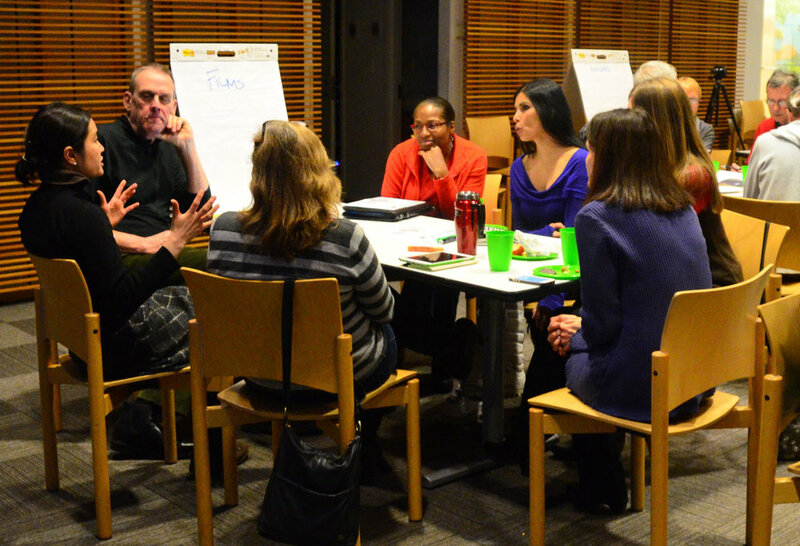 Green Community Connections’ website, e-newsletter and social media pages will keep you informed about sustainability initiatives and events in the Oak Park and River Forest area. We also are a resource for tips and ideas that can make your home and way of life more sustainable. Green Community Connections is what we make it together. Sign up now to stay informed and be involved! Your donations will be gratefully accepted and put to good use! Green Community Connections is a tax-exempt organization under IRS Code Section 501(c)(3). Donations made for the work of Green Community Connections are tax deductible to the extent permitted by law. please contact Sally Stovall at 773-315-1109, or sally@greencommunityconnections.org. Donations accepted via credit card at this link. Richard Alton, Co-Founder, Green Community Connections; Core group member; Co-Chair of Interfaith Green Network of Oak Park/River Forest. Held various positions for the Institute of Cultural Affairs, including Secretary General in Brussels, Belgium, for 13 years. Jim Babcock, Co-Founder, Green Community Connections; Core group member, Interfaith Green Network of Oak Park/River Forest. Co-founder of Elmhurst Cool Cities Coalition. Sierra Club member for 20 years. Ana Garcia Doyle, Digital Marketing Strategist; One Earth Film Festival Director and Founding Member; Sustainability Consultant, and Trainer/Public Speaker. Willard O. Williamson, President of Church Council at Windsor Park Lutheran Church in Chicago. Jodi Rosen Wine, Attorney at Law; Former Partner at Nixon Peabody, LLP. Chair of Illinois Food Scrap Coalition’s “We Compost!” program, which recognizes restaurants, businesses and institutions that manage their food waste through composting.